Home Halloween Do Halloween Decorations Establish a Religion? 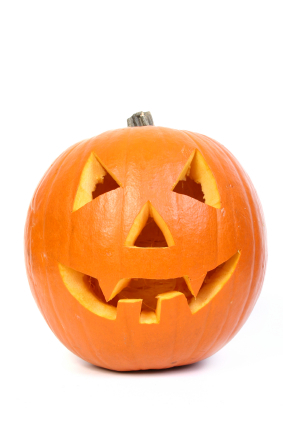 A government employee sued the Federal government because of Halloween decorations. The Plaintiff was a Pentecostal Christian and found decorations of witches offensive, because the decorations celebrated Paganism. Rosa-Ruiz v. Gonzalez-Galoffin, 2007 U.S. Dist. LEXIS 69905, at *3 (D.P.R. Sept. 20, 2007) The Plaintiff complained that the decorations in a government building violated the Establishment Clause of the First Amendment of the United States Constitution. The First Amendment states, “Congress shall make no law respecting an establishment of religion,” United States Constitution, Amendment I, Clause 1. Rosa-Ruiz, at *9-10. The test whether the Establishment Clause has been violated is whether, “the government practice has the effect, intentionally or unintentionally, of communicating a message of government endorsement or disapproval of religion would there be a violation of the Establishment Clause.” Rosa-Ruiz, *10. Such decorations, like Halloween costumes and parties, are linked to the seasonal celebration of a fun-loving tradition in which children are particularly involved in classrooms, neighborhood gatherings and trick or treating. Halloween decorations, like valentines, Easter bunnies, and egg hunts are all secular displays and activities that neither convey religious messages nor constitute religious symbols. Halloween lost its religious and superstitious overtones long ago. It has become instead a commercial holiday enjoyed by communities in its many forms of entertainment. The Plaintiff’s claim that the decorations violated the Establishment Clause failed, because there was nothing else to support it. Rosa-Ruiz, at *12. Granted, if the Secretary of Health & Human Services suddenly demands tribute of the first born of each household in order for health insurance websites to work, we would have multiple legal challenges beyond the First Amendment. Moral of the story: Having decorations or giving out candy to kids on Halloween does not make you a Pagan/Devil worshiper/foot soldier in the Army of Darkness. It might make you an enabler or tooth decay, so tell Trick or Treaters to brush their teeth.